Classical music news: New media can lead back to old media – just ask pianist Valentina Lisitsa whose superstar status on YouTube has led to her a contract with Decca Classics. The media world today keeps getting, as Lewis Carroll might say, curiouser and curiouser. 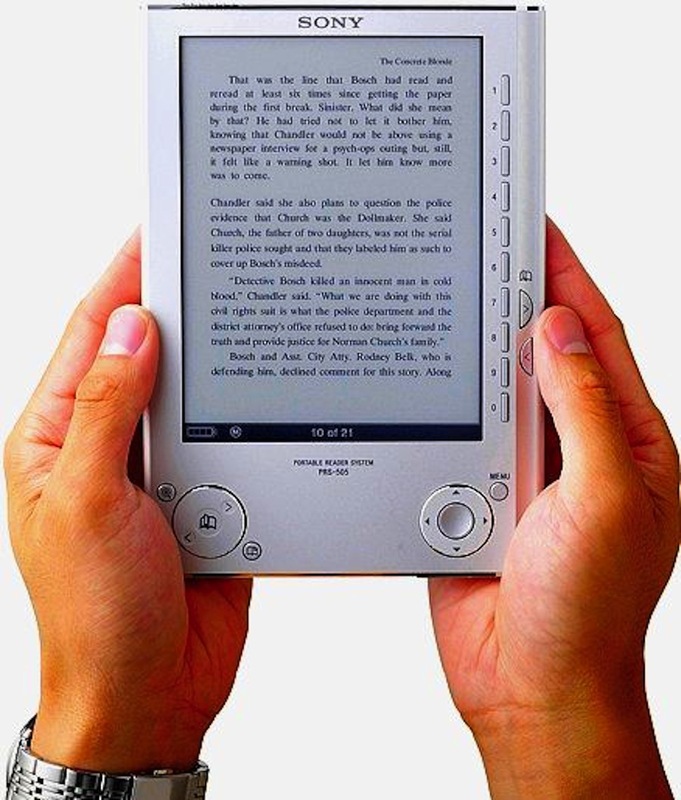 Many authors now are self-publishing their first efforts because electronic books, or e-books, make it easier than ever to do so. And if the e-books sell well enough, old-fashioned publishers pick up the rights to make them into real old-fashioned cloth-and-paper printed books. But one of the ironies is that the process also works in reverse. It also applies to classical music. 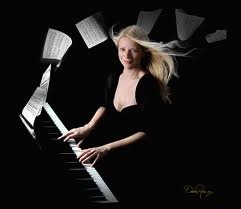 Take the case of pianist Valentina Lisitsa (below) who, to the best of my count, has performed in Madison four times: twice as accompanist to violinist Hilary Hahn and twice in solo recitals at Farley’s House of Pianos. But the Lisitsa phenomenon — and it really is a phenomenon — started about five years when she started posting her performance (of a Rachmaninoff work) on YouTube. Since then, as the most popular pianist on YouTube (which has a huge number of current and historic piano videos) she has racked up more than 40 million individual hits or visits, as well as some 52,000 subscribers to her YouTube channel, for her many recordings of favorite works by Beethoven, Chopin, Liszt, Schumann, Rachmaninoff and other composers. Then last week, one of the classic great “old media” outlets – Decca Records, which belongs to the giant conglomerate Universal – signed her to a contract. 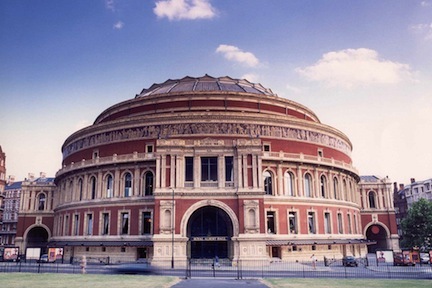 It will start with a recording her debut recital at Royal Albert Hall on June 19. A digital version will available later in June and a CD will be released July 3. Surely, Decca officials figured that so much interest on the Internet suggests that Lisitsa is very bankable and has a good chance of making money for the label. So it will record her upcoming concert at Royal Albert Hall in London. The 39-year-old Lisitsa, who was born in Ukraine but lives in the U.S., asked her fans for what program she should play – for what their favorite pieces played her are. My question is a simple one: Why would you buy a CD if you can hear the same pieces for free on YouTube? I suppose so you can hear the artist and those works away from a computer or electronic device – at home or in the car or on an iPod. Whatever the case, you have to assume the dramatic and temperamental, virtuosic and photogenic Lisitsa knows what she is doing. She seems as gifted in commercial strategy as in classical piano technique and interpretation. Below is Lisitsa playing one of my favorite Rachmaninoff preludes — in G major — though by no means one of her most popular videos, some of which have almost 3 million hits. I like the tone and the way the video shows her unusual stroking technique of hitting the keys — which seems to allow her never to strain. Just because we are in the intermission between the end of the spring concert season and the beginning of the summer concert season doesn’t mean there isn’t some very good live classical music to be found. The Wisconsin Chamber Choir (below) will present a concert entitled “Bernstein and Friends” featuring Leonard Bernstein’s “Chichester Psalms,” on Sunday, June 3, at 3 p.m. at First United Methodist Church, 203 Wisconsin Avenue, in downtown Madison. Also on the program is the world premiere of “The God of Glory” by Virginia composer Judith Shatin, along with works by composers whom Bernstein championed as a conductor, including music of Copland, Beethoven, Schumann and Ives. Tickets are available in advance for $14 through Brown Paper Tickets or via www.wisconsinchamberchoir.org or at the door for $16. Student tickets are $10 in advance or $12 at the door. Tickets also available at Orange Tree Imports and both Willy Street coop locations. 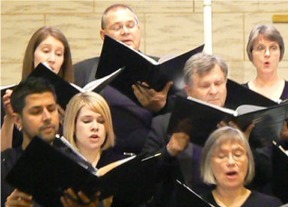 Founded in 1999, the Madison-based Wisconsin Chamber Choir has established a reputation for excellence in the performance of Bach oratorios, a cappella masterworks from various centuries, and world-premieres. 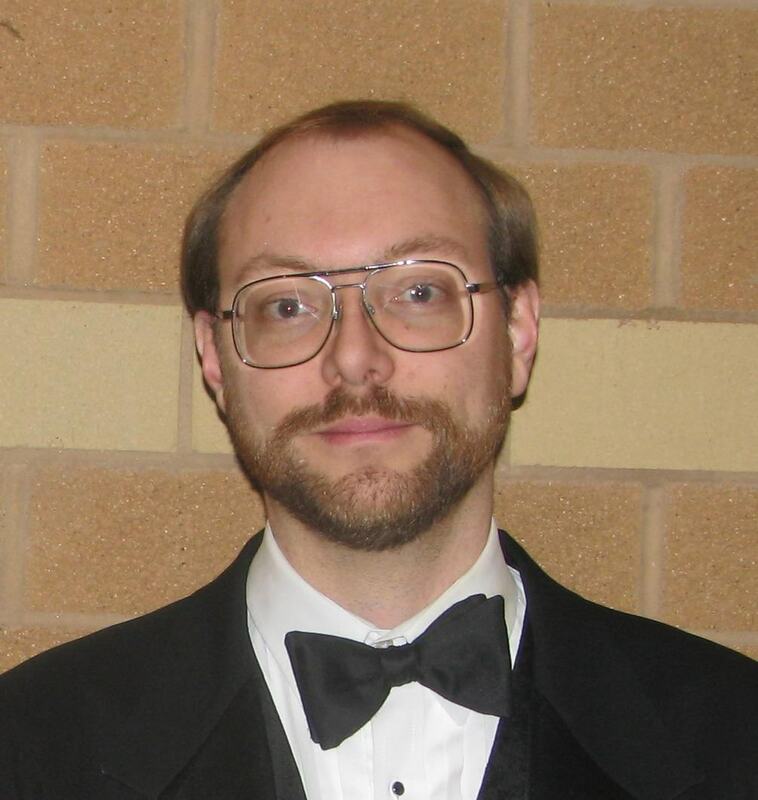 Dr. Robert Gehrenbeck (below) is the Wisconsin Chamber Choir’s Artistic Director. The WCC’s performance will feature boy soprano Nathaniel Johnson, harpist Karen Atz, organist Theodore Reinke and percussionist Tobie Wilkinson. 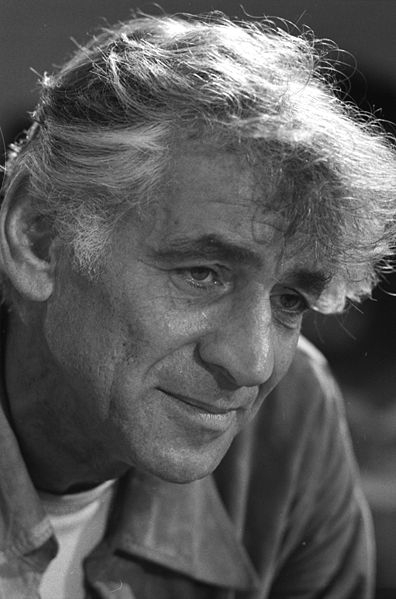 Other Bernstein works on the program include selections from the musical theatre work “Mass” and a rarely heard early work, “Hashkiveinu,” a setting of a prayer from the Jewish Sabbath evening service. Rounding out the program are works by composers closely associated with Bernstein’s career. 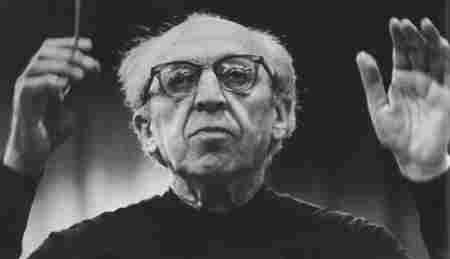 His lifelong friend Aaron Copland (below) is represented by selections from Copland’s “Old American Songs” in choral arrangements both old and new. Romantic choral works by Beethoven and Schumann pay tribute to Bernstein’s passionate interpretations of these composers’ music. Finally, a group of light-hearted early works by Charles Ives highlights Bernstein’s affinity for one of America’s most original composers. 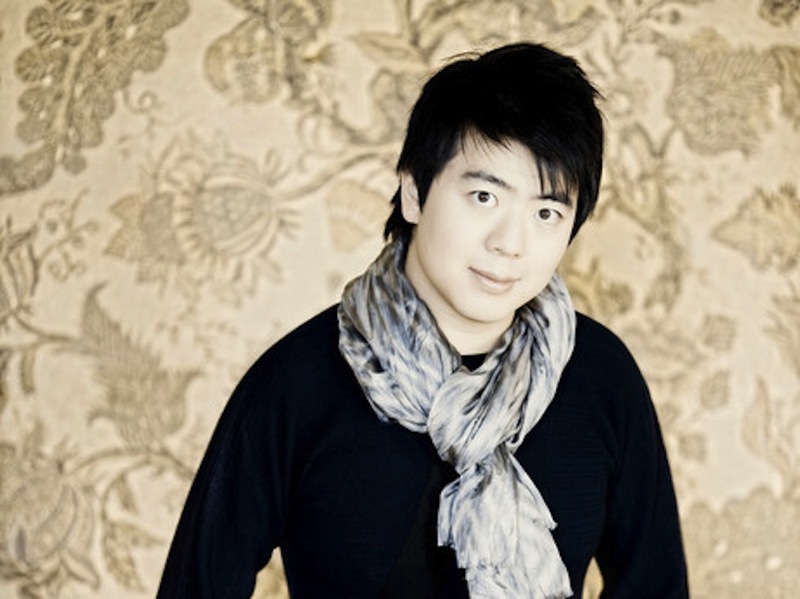 Classical music ALERT: Chinese pianist Lang-Lang closes out the Carnegie Hall season with a ruminative recital of Bach, Schubert and Chopin that you can stream LIVE TONIGHT (Tuesday, May 29, 2012) at 8 p.m. EDT. Whatever you may think of the Chinese pianist Lang-Lang (below, in a photo y Marco Borggreve), there is no denying he is probably the most popular classical pianist in the world – and just maybe the most popular classical musician of any kind in the world. And he may even be toning down his act, now that he is approaching 30. Imagine — Lang-Lang without Liszt! The Chinese Liberace – nicknamed Bang Bang by some of his harsh critics because of his flamboyant showmanship and attire – is performing a LIVE performance at Carnegie Hall tonight at 8 p.m. EDT. The concert will close out the season at Carnegie Hall, and The Ear is betting it will be sold out. The program – which starts at 8 p.m. EDT or 7 p.m. CDT — is BIG and much less flashy than what he usually performs. It features J.S. Bach’s Partita No. 1 in B-Flat Major, BWV 825; Schubert’s soulful last Sonata in B-Fat Major, D. 960; and all 12 of Chopin’s Etudes, Op. 25. The Ear suspects you can expect a lot of encores. 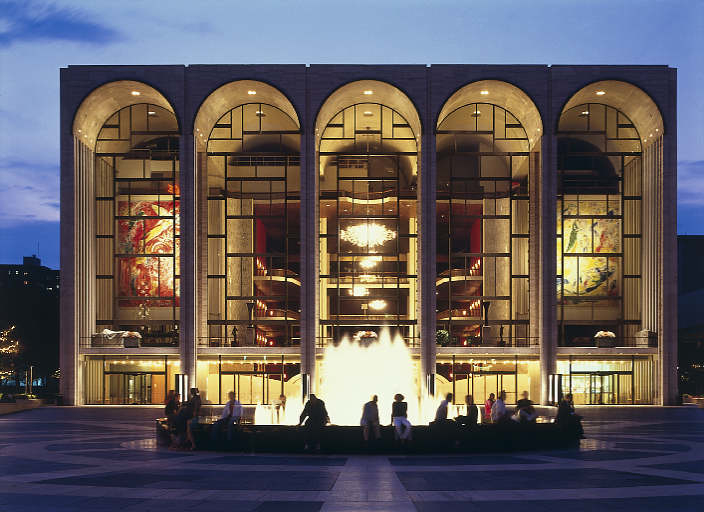 Here is a link to the live streaming site, which is a welcome and wonderful cooperative effort between Carnegie Hall and the famed New York City classical radio station WQXR. If you miss it tonight live, it will also be archived and available at the same website. And here is a link to brief story on NPR about the concert along with a listing of the many other Carnegie Hall concerts – vocal, orchestral, piano and chamber – that you can stream. What a treasure trove now and in years to come! Classical music news: For the next two weeks Madison will again become the summer capital of Cello World – and this time the public is invited to participate. Attention, all cellists and cello lovers! Madison, Wisconsin is about to become the temporary Cello Capital of the world. The cello (or violoncello, below) has been, is and will remain very popular, largely, The Ear suspects, because its beautiful sound so resembles the human voice and because it uses total body involvement and has a wonderful repertoire. 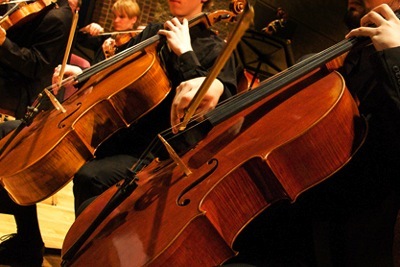 Just go to Google Images and check out how many schools, colleges, universities and conservatories have a Cello Choir. You will be amazed at how many exist. Once again, the sessions will be under the general guidance of UW-Madison cellist and institute founder Uri Vardi (below top) and his wife Hagit Vardi (below bottom), who is a trained practitioner of the Feldenkrais Method and was a professional flutist in her native Israel. 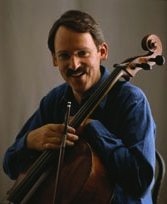 Another important figure is the institute site administrator, Cathy Spann, a UW alumna who is a cello teacher and performer and helped found the Wisconsin Cello Society with Uri Vardi. 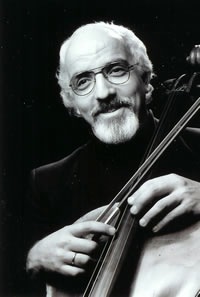 Famous cellists and teachers – including the well-known performer Ralph Kirshbaum, who now teaches at USC — will teach, many come from such prestigious music schools as Juilliard, Mannes and the University of Michigan among others. Students highly praise the results. In addition from June 1-6 there will be on-going sessions and workshops called “Your Body Is Your Strad” — great title, no? Make me wonder: Is My Body My Steinway? Anyway, the sessions teach the Feldenkrais Method to help cellists relax and use their bodies to play more efficiently and make them less prone to injury. The NSCI is co-sponsored by the UW-Madison School of Music and The College Music Society (CMS), and this year received additional grants from the UW Chancellor’s office, the Evjue Foundation (the charitable branch of The Capital Times newspaper) and the UW Anonymous Fund. 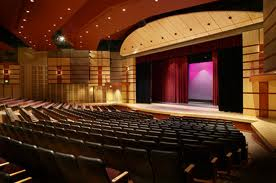 All events are at the University of Wisconsin-Madison School of Music Mills Hall or Morphy Hall. Here is the program for the FREE concert at 8:30 p.m. on June 16 in Mills Hall by the NSCI CELLO CHOIR, conducted by German Marcano: the “Chaconne” from Violin Partita No. 2 in D minor BWV 1004 by J.S. Bach (1685-1750) as arranged by Laszlo Varga; “Pájaro Guaracha” for cello ensemble by Paul Desenne (1959); “Rochela” for cello ensemble by Ricardo Lorenz (1961); “Kol Nidrei,” Op. 47, by Max Bruch (1838-1920) with soloist Uri Vardi and arranged for cello ensemble by Gunther Rinke; the “Bachianas Brasileiras” No. by Heitor Villa-Lobos (1887-1959). 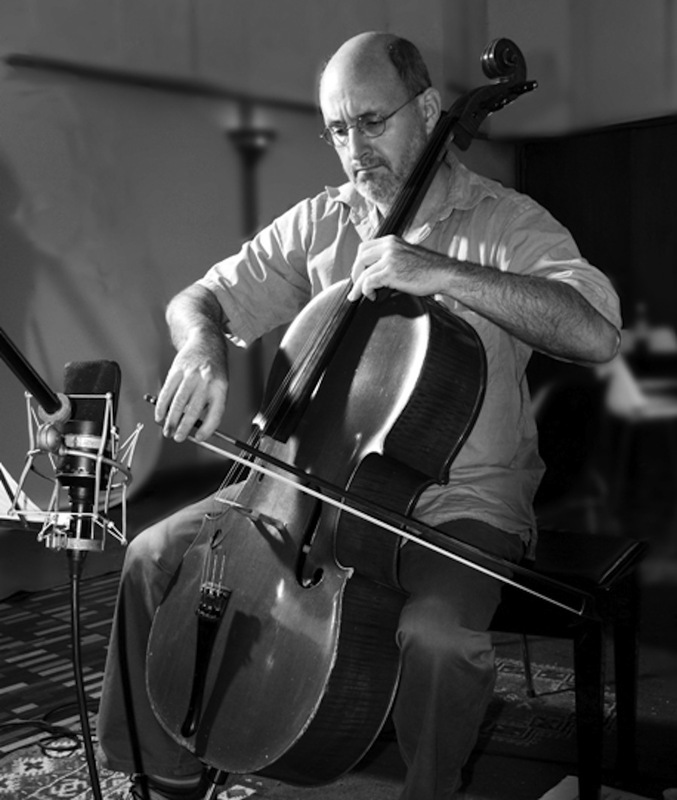 PAUL DESENNE: The 2009 Guggenheim Fellow Paul Desenne (below) began composition studies at the age of 14 under Greek composer Iannis Ioannidis, and as a cellist, he became a founding member of the Simón Bolívar Youth Orchestra in 1977. He moved to Paris and studied cello with Michel Strauss and Philippe Muller; composition with Marc-Olivier Dupin and Luc Ferrari. 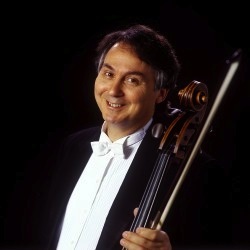 He won first prize in cello performance at the Conservatoire National Supérieur de Paris – the dean of the jury was the great Pierre Fournier. His works are performed around the world, with venues and festivals including Alice Tully Hall at Lincoln Center and Weill Recital Hall at Carnegie Hall in New York, Laeiszhalle in Hamburg, Brooklyn Academy of Music, Juilliard, MoMA‘s Summergarden series in New York, the Sonic Boom Festival, Focus! Festival, Caramoor, Faneuil Hall in Boston, among many others. RICARDO LORENZ: Venezuelan-born Ricardo Lorenz has served as Composer-in-Residence in several programs and presenting organizations, such as the Chicago Symphony Orchestra’s Armonía Musicians Residency Program (1998-2003), the Billings Symphony (1998-1999), and Music in the Loft chamber music series (1999-2000). 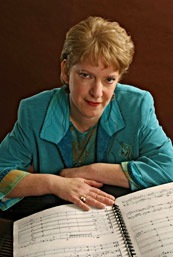 Lorenz has also been the recipient of several other distinctions and awards from American Bandmasters Association, National Flute Association, Civitella Ranieri Foundation, Organization of American States (OAS), Concert Artists Guild, Meet-the-Composer, Barlow Endowment for Music Composition, the Newhouse Foundation, Illinois Community College Trustees Association, and ASCAP. Although Ricardo Lorenz has resided in the United States since 1982, he has always maintained close ties with Latin America. Between 1987 and 1992, Ricardo Lorenz held the position of Interim Director of the Indiana University Latin American Music Center. During this time he established a network of composers from the continent and compiled the sourcebook Scores and Recordings at Indiana University’s Latin American Music Center (Indiana University Press, 1995) nominated to receive the 1996 Best General Reference Source Award by the Association of Recorded Sound Collections. Ricardo Lorenz holds a Ph.D. degree in composition from the University of Chicago and a Master of Music degree from Indiana University. He studied composition under Juan Orrego Salas, Shulamit Ran and Donald Erb. 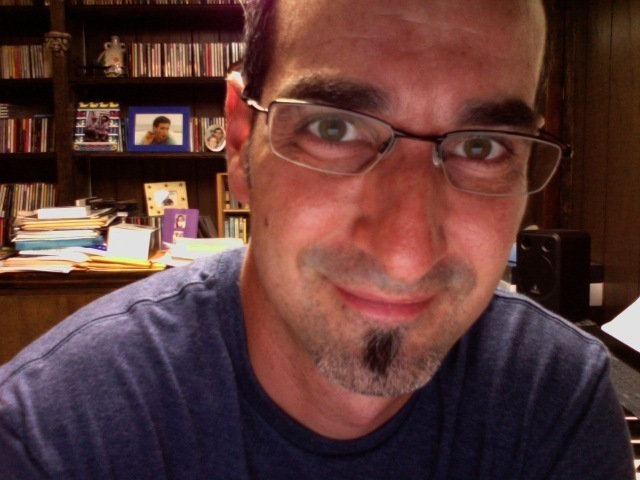 He has taught at Indiana University, The University of Chicago, City Colleges of Chicago, and he is currently Associate Professor of Composition at Michigan State University. Lorenz’ compositions are published by Lauren Keiser Music and Boosey & Hawkes. They can also be heard on the following record labels: Arabesque Recordings, Albany Records, Indiana University LAMC Series, Doublemoon Records (Turkey), Urtex Digital Classics (Mexico), SOMM Recordings (UK), Cedille Records, and Navona Records. 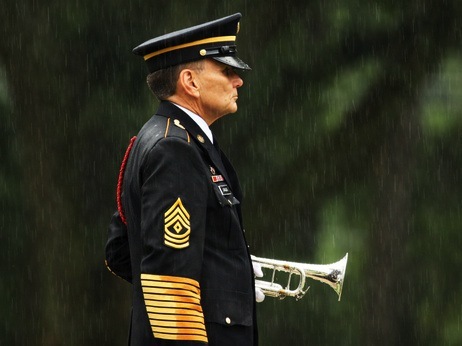 Classical music: For Memorial Day – and as a tribute to all veterans — here is the long and moving history of “Taps” from NPR. 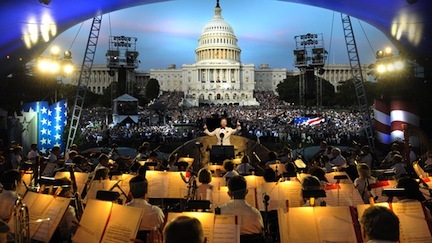 In addition, the National Memorial Day Concert – with hosts Joe Mantegna and Gary Sinise — that was broadcast LIVE last night (Sunday) from the west lawn of the Capitol in Washington, D.C., on Wisconsin Public Television will get an encore presentation tonight at 10:30 p.m. The National Symphony Orchestra will take part. It performs Samuel Barber‘s “Adagio for Strings,” among other works. But this year I happened upon something else: An extraordinary history on NPR of the moving, emotionally intense bugle call TAPS that will be played many times in many places today. 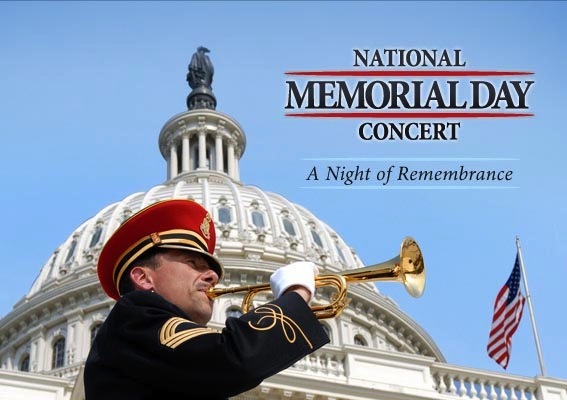 It is both a personal story of a longtime military bugler for Arlington National Cemetery and a history of a piece of music that spans 150 years, and wears and conflicts going back to the Civil War and more recently the assassination of JFK. But I am still interested in what piece of classical music you would choose to listen to on Memorial Day as a tribute to veterans. Leave a comment and let us know. How do you attract young listeners to classical music concerts? Whether you are a performer or an audience member, a presenter or a sponsor, the question is an urgent one. The question is also constantly and hotly debated these days, and so are the solutions. Play more new music, say some, and live more in the present culture. On the contrary, play the old standards and great masterworks that young people need to know and hear live for once, say others. Play in non-traditional venues like bars and coffeehouses. 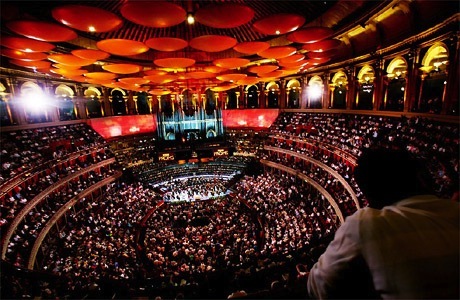 Play in concert halls, but offer cheaper tickets. Book young performers and soloists that young audiences can relate to. Program more crossover music with echoes of rock, folk, bluegrass, jazz, blues and world music. So, just what is an orchestra or other classical ensemble or preenting organization to do? 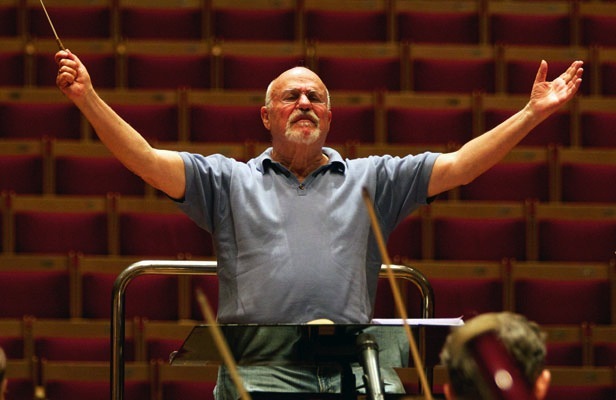 Well, NONE of those well intentioned ideas are really the way to go, says veteran Grammy-winning conductor, the American David Zinman (below) who leads the Zurich Tonhalle Orchestra but guest conducts and tours around the world. Zinman — who also is famous for championing a modern and seemingly more austere approach to Beethoven (see bottom) — has different ideas. He got them by simply going to his young 16-year-old son for suggestions. And he got what he asked for: ADVICE. Start late, exclude parents, allow casual dress, play anything and host a post-concert all-night dance party. But he didn’t just ask and listen, and then ignore the advice. 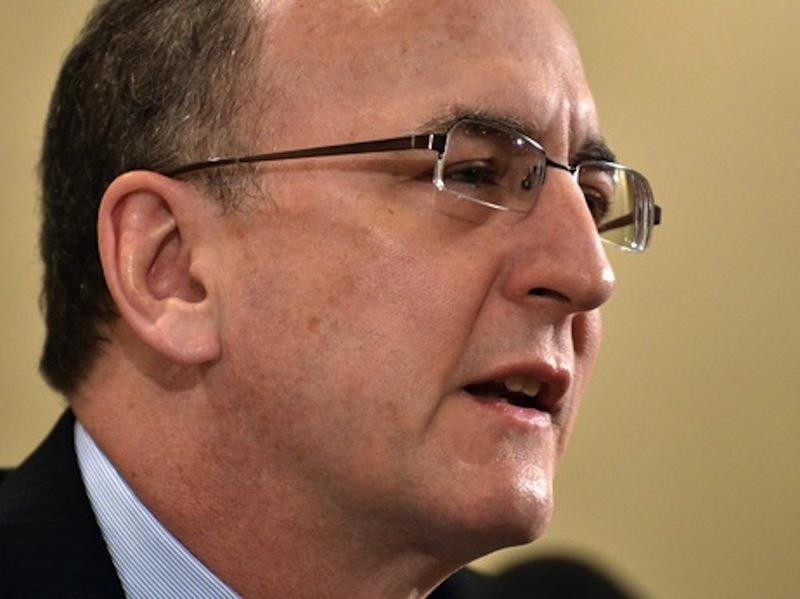 He acted on what he heard and implemented his son’s suggestions – with outstanding success, he adds. So, do you want to know more about the “secret” solutions Zinman heard and implemented? Here they are, as he told a reporter in New Zealand where was preparing to conduct “An Alpine Symphony” by Richard Strauss. Read what David Zinman says and tell The Ear what you think of the suggestions – especially if you are a young person or know young people and whether you think his suggestions would work or not. 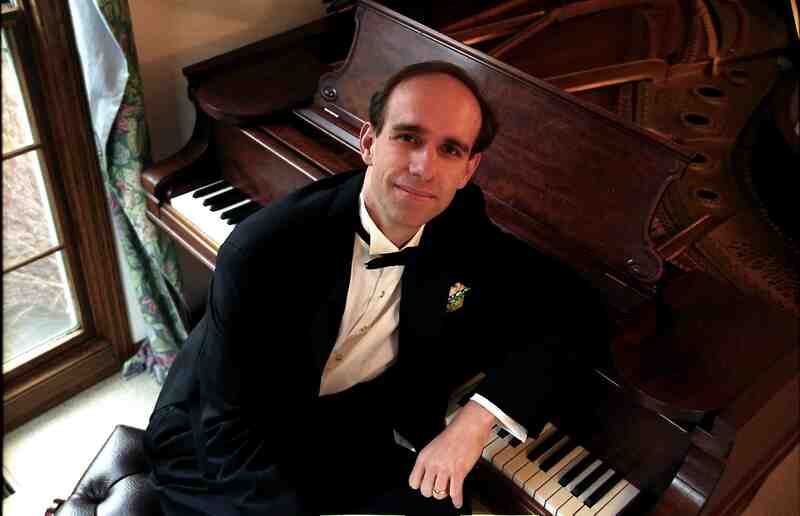 Classical music news: Middleton pianist Thomas Kasdorf joins the Middleton Community Orchestra next Wednesday night in a concert of Mozart and Brahms. This coming three-day holiday weekend includes Memorial Day. After all the patriotic music and marches you’re likely to hear, you might just be in the mood for something more serious, both dramatic and lyrical. And even though we are in the intermission between the spring and summer concert season, one event looks very promising. 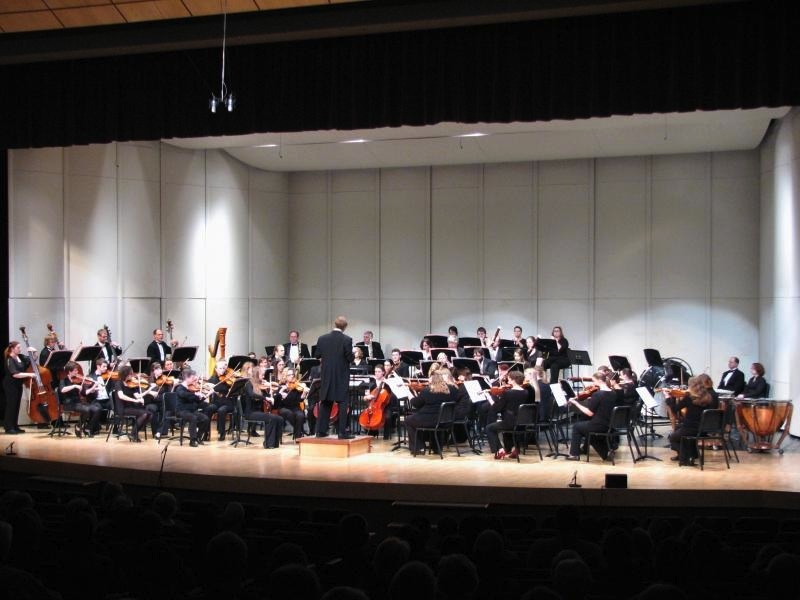 Next Wednesday night (May 30, 2012) at 7:30 p.m. at the Middleton Performing Arts Center, attached to Middleton High School, The Middleton Community Orchestra (below, in a photo by William Ballhorn) will present its Spring Concert. The concert features terrific three works: the “Jolly Robbers” Overture by Franz von Suppe; the contagiously tuneful and charming Piano Concerto in A major, K. 488 by Mozart; and the dense Symphony No. 4 by Brahms, one of the greatest symphonies ever composed. Tickets are $10 general admission. Students are free. Tickets are available at the door, Willy St. Coop West or by calling (608) 212-8690. The conductor is Steve Kurr (below). The guest soloist is pianist Thomas Kasdorf (below), a life-long Middleton resident, who will be performing the Mozart concerto. 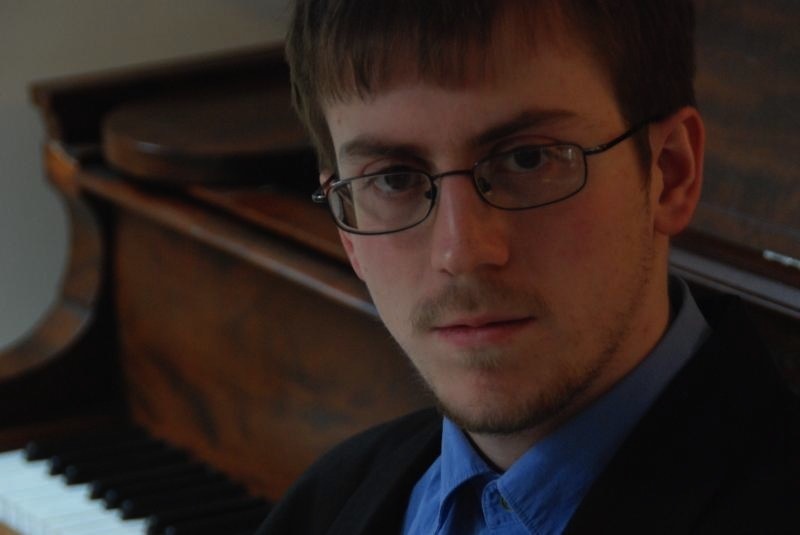 Kasdorf is a recent graduate of the University of Wisconsin-Madison with his Bachelor’s of Music in Piano Performance, where he studied with Professor Christopher Taylor. 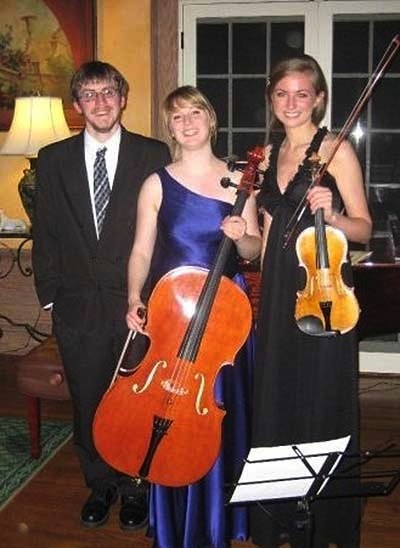 His work with the Perlman Trio (below, with violinist Eleanor Bartsch and cellist Maureen Kelly) and with other instrumentalists has been featured in performances on Wisconsin Public Radio’s “Live at the Midday” series, as well as in Bach Dancing and Dynamite Society’s House Concert Series. He was named co-winner of the Irving Shain Woodwind and Piano Duo Competition, with collaborative partner, flutist Morgann Davis and was awarded the Bolz Prize of the Madison Symphony Concerto Competition and performed Grieg’s Piano Concerto in A Minor at their Spring Youth Concerts. 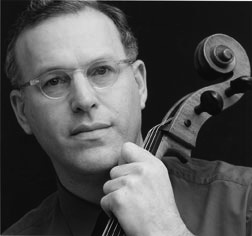 He has performed in master classes given by: composer William Bolcom, violinists Nadja Salerno Sonnenburg and Pinchas Zukerman; cellists Steven Isserlis, Ronald Leonard, Ralph Kirshbaum and Timothy Eddy, and pianists Robert MacDonald, Jeffrey Siegel and Adam Neiman. Kasdorf has worked in a variety of roles (both on and offstage) with a multitude of local performing arts groups, including Strollers Theatre, Madison Theatre Guild, Four Seasons Theatre, University Theatre, University Opera, and Children’s Theatre of Madison, in over 100 different shows. With a specialty in the works of Stephen Sondheim, he has been called upon to arrange and perform reduced or solo orchestrations of Sondheim scores, including “A Little Night Music,” “Sunday in the Park with George,” “Putting It Together,” “Sweeney Todd,” “Side by Side by Sondheim,” “Into the Woods” and “Company.” He also serves on the board of directors for Middleton Players Theatre and will be musical director for Sondheim’s “Into the Woods” with them in August at the Middleton Performing Arts Center (below), where he will perform Wednesday night. Classical music review: The Ancora and Rhapsodie String Quartets show deep collegiality in performing outstanding Mendelssohn and Prokofiev. A REMINDER: Tonight at 7 p.m. in The Playhouse of the Overture Center, the Rhapsodie String Quartet (below, in a photo by Greg Anderson), which is made up of members of the Madison Symphony Orchestra, will perform a FREE concert of Haydn’s “Emperor” String Quartet in C major, Op. 76, No. 3, and Brahms’ String Quartet No. 2 in A minor, Op. 51. No admission will be charged, but freewill donations are welcome at the door. Collegiality is the hallmark of great chamber music-making. 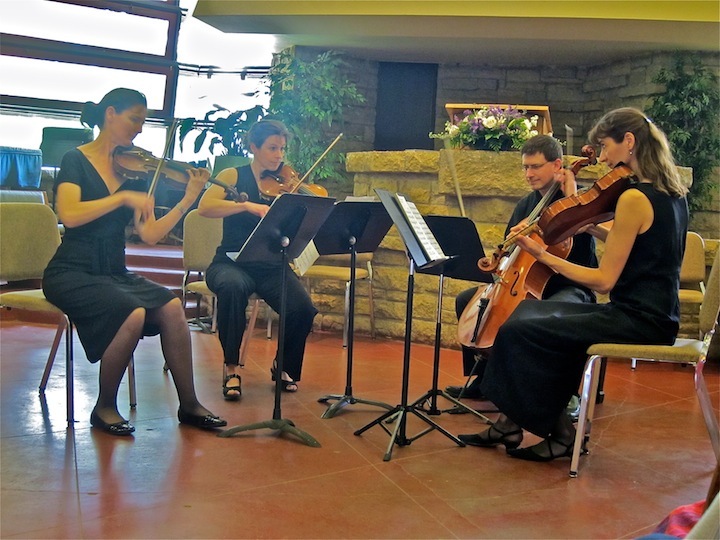 If you doubt that, all you had to do was be at the performance of the Ancora String Quartet (below) as it closed its 11th season last Saturday night and Sunday afternoon at the First Unitarian Society Meeting House with performances of Prokofiev and Mendelssohn. The Ancora consists of violinists Leanne Kelso League and Robin Ryan; violist Marika Fischer Hoyt; and cellist Benjamin Whitcomb. 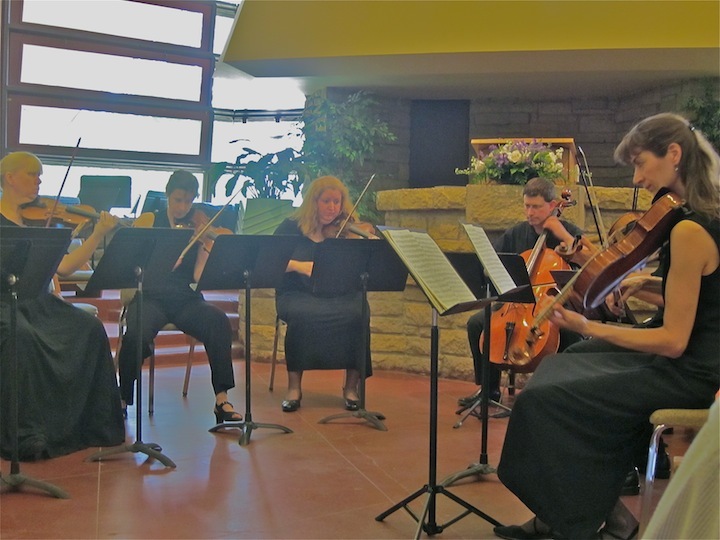 The ensemble remains artists-in-residence at the First Unitarian Society where music director Dan Broner continues to leave his mark with the weekly free Friday Noon Musicales, the all-music Sundays and sponsorship of the Ancora as well as other musical events. Two works made up the Ancora concert. The first was Prokofiev’s String Quartet No. 1 in B minor, Op. 50, from 1930. 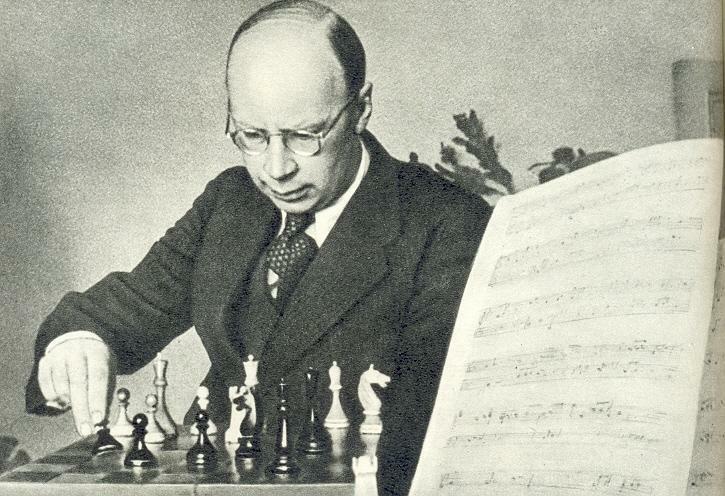 The second quartet by Prokofiev (below) is the more famous and more easily listenable of the two since it is based on folk themes and has a sprightly sense of rhythm and melody – a very Mozartean or Haydnesque lightness for Soviet Russia compared to the unrelenting darkness and heaviness of his contemporary Dmitri Shostakovich. But in the hands of the Ancora, the more “composed” first quartet revealed its many charms. Its unconventional structure of two fast movements followed by a slow movement showed how Prokofiev played with expectations. And for all his percussiveness and angular modernism, you find a looking backwards quality – a transparency and lyricism — to Prokofiev. The Ancora brought out the motivic qualities of the piece, ending with the tuneful quality of the song-like last movement, with its quiet ending. A work that can seem daunting seemed thoroughly prepared and executed in such as way as to make it welcoming and accessible. For most listeners, surely the highlight of the concert was Mendelssohn’s Octet from 1825. Written when the composer (below) was only 16, it was and remains one of the miracles of Western classical music. It conveys infectious energy right from the opening measures and continues that energy until the end. Especially the typical Mendelssohn signature – a cat-like Scherzo — was both charming and impressive. The fleet lightness sounded so easy when it is really so hard. 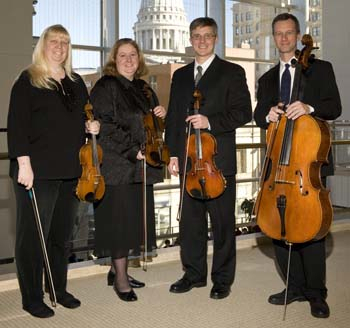 The Rhapsodie Quartet (below, in a photo by Greg Anderson), which is made up of members from the Madison Symphony Orchestra: violinists Suzanne Beia and Laura Burns, violist Christopher Dozoryst and cellist Karl Lavine – proved a hand-and-glove match for the Ancora. Two groups blended tightly and seemed as one, even as the as score calls for competing voices and certain kind of virtuosic competition. 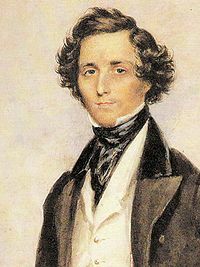 The Ancora and Rhapsodie quartets emphasized the unity of the piece, the way Mendelssohn –who so admired the music of J.S. Bach – stitched together these four various movement into a seamless fabric. But the most outstanding quality was the sheer boundless energy, the youth exuberance, that the two groups brought to this irresistible work. Once again, the Octet worked its magic. It was a brilliant program that was brilliantly executed. The only problem was the venue. Historic or not, landmark or not, the auditorium designed by Frank Lloyd Wright is uncomfortable because of its seats – those awful lower back-breaking benches Wright designed – and because there was no air conditioning on a 90 degree day. Indeed, at one point, a breeze from the open door blew the music right off the stands and the musicians had to start again. But in another testament to collegiality and informality, the Ancora players just picked up and carried on in good humor with the audience of 50 or so — it was UW commencement weekend, after all – taking their cue and remaining with the quartet all the way. The Era has often remarked on what a rich classical music scene Madison has. Just think of the outstanding string quartets you find in the area: there is the Pro Arte, the Ancora, the Rhapsodie, the Roundtree, the Mifflin and the Oakwood Chamber Players and others that escape me at the moment. For more information about the quartet and how its next season is taking shape, visit www.ancoraquartet.com or follow it on Facebook at facebook.com/ancoraquartet. 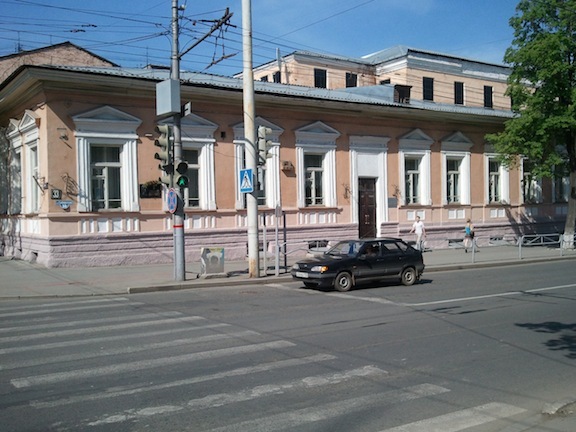 Classical music news: University of Wisconsin pianist Christopher Taylor sends a letter and photos from his concert tour to Perm, Russia. 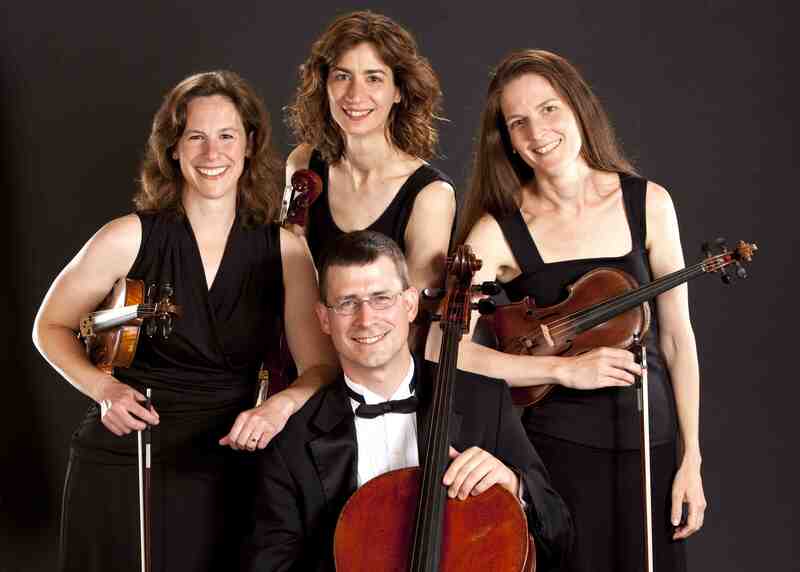 ALERT: This Thursday night at 7 p.m. in The Playhouse of the Overture Center, the Rhapsodie String Quartet (below, in a photo by Greg Anderson), which is made up of members of the Madison Symphony Orchestra, will perform a FREE concert of Haydn’s “Emperor” String Quartet in C major, Op. 76, No. 3, and Brahms’ String Quartet No. 2 in A minor, Op. 51. No admission will be charged, but freewill donations are welcome at the door. Remembers those Letters from Paris or Berlin in The New Yorker magazine that begin “A friend writes …”? I have always loved them and think Janet Flanner and Adam Gopnik, who served as Paris correspondents, were especially terrific and worthy of that city. 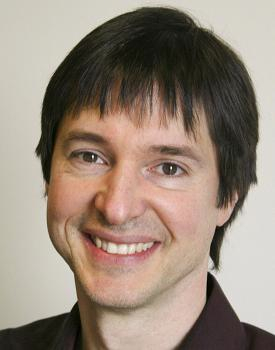 Anyway, The Ear just received something similar from the acclaimed pianist Christopher Taylor (below), who teaches at the University of Wisconsin in Madison. Taylor recently left on a week-long concert tour to Perm, Russia, which is some 4,900 miles away from Madison. Here is a link to the posting that announced that and other news about Taylor. In Perm, Taylor’s path has crossed those of such historical figures as Serge Diaghilev, the founder of the famed Ballets Russes, which premiered Stravinsky’s “Rite of Spring” and other works; and the Nobel Prize-winning poet and novelist Boris Pasternak. “I’m having a good time here. “Night before last was my recital featuring Messiaen’s “Vingt Regards” (“sur l’enfant Jesus”), which went over well. Last night I shared a program with the Russian pianists Ivan Sokolov and Anton Batagov, playing little snippets of Bach, Schumann, Messiaen and Ligeti. “Tomorrow is the final obligation, Stravinsky’s “Les Noces” (The Wedding) and a new work by contemporary Russian composer Vladimir Nikolaev, scored for the same forces as “Les Noces” (4 pianos, percussion, vocal soloists and chorus). Rehearsals begin in a couple of hours. Should be an adventure. “Enclosed are a couple of inexpert photos. “No. 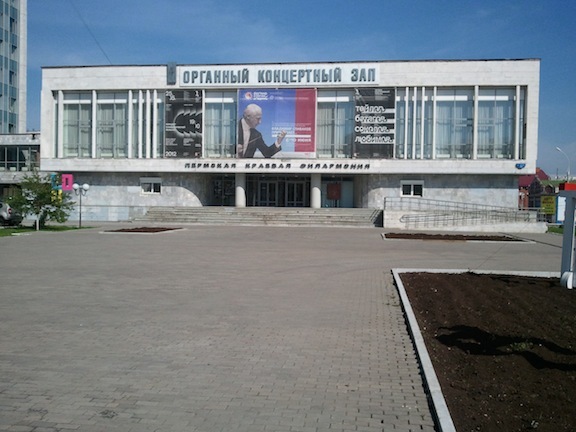 1 shows the hall where the Messiaen occurred and the Stravinsky/Nikolaev program will take place. The picture on the central banner is (violinist Vladimir) Spivakov, who will be guest conducting here in June. The black banners left and right are for the Diaghilev festival in which I’m taking part. The first of the four names in the banner on the right is me. “No. 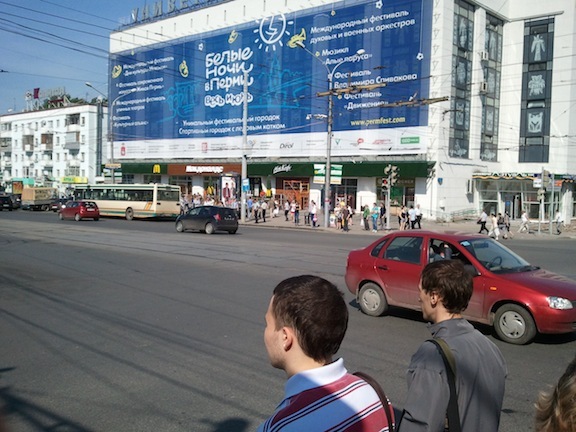 2 shows that Perm is a bustling modern city, complete with MacDonald’s. “No. 3 is the house where Diaghilev grew up, where last night’s joint recital occurred. “And No. 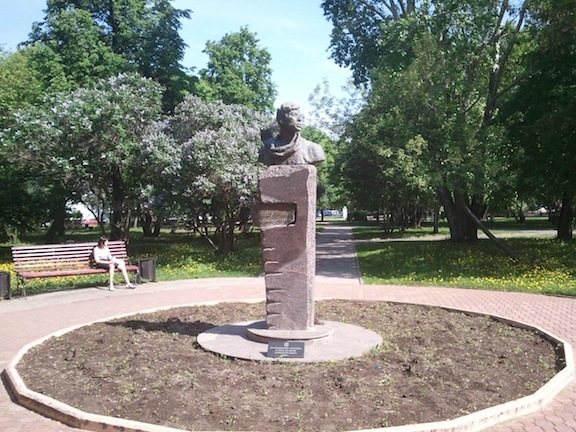 4 is the pleasant central park with its Pasternak memorial (Pasternak spent time here and based much of “Doctor Zhivago” on this city). “So, gotta run. Hope to see you before long!